PubhD has a venue: Welcome to The Vat and Fiddle! We are delighted to announce that PubhD is no longer homeless! The lovely people at The Vat & Fiddle have welcomed us with open arms and provided a room that should be perfect for us. 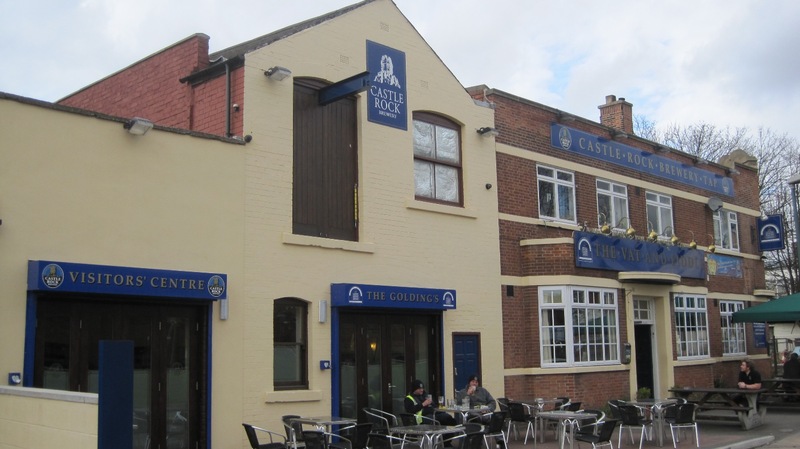 It’s the home pub of the Castle Rock Brewery and as such boasts a vast selection of ales at very wallet friendly prices. They also serve some pretty decent pub grub and accept card payments if you haven’t had time to dash to the bank on the way home from work. The Vat is ideally situated 5 mins walk from both the Train & Broadmarsh Bus Station and there is some limited on street parking nearby. There is a new multi-storey car park at the station that is easy to walk from as well. In the next week we’ll be seeing which of the speakers are free for January’s talk and organising the inaugural meeting, keep your eyes open! Please also join the PubhD Facebook group so we can notify you about upcoming events. This entry was posted in Admin by misterregars. Bookmark the permalink.